‘Most wanted’ Lashkar-e-Taiba militant Naveed Jhutt, who was allegedly involved in the assassination of journalist Shujaat Bukhari, was killed in an encounter in Jammu and Kashmir’s Budgam district on Wednesday, officials said. The gun battle broke out after security forces launched a cordon and search operation in Budgam in the morning following information about the presence of militants there, a police official said. 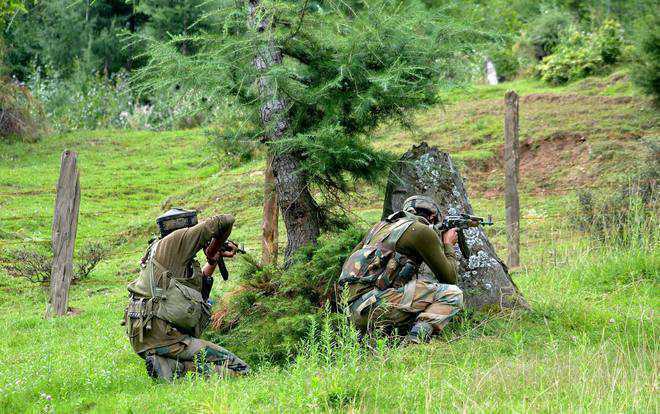 The militants opened fire at the security personnel carrying out searches and the forces retaliated, he said. Internet services in Budgam have been snapped as a precautionary measure. Bukhari, a veteran journalist and editor of Rising Kashmir, was shot dead by militants outside his office in the heart of Srinagar in June this year.